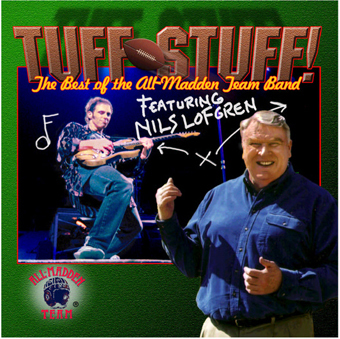 For 10 years, Nils Lofgren -- a huge football fan -- recorded original rock instrumentals for the famous All-Madden teams TV show. John Madden put some of his classic "Maddenisms" inside some of the tracks and gave his blessing to this great collection of roaring, rock instrumentals, Nils' only instrumental album ever. Featuring great blues harp (Mark Wenner) and sax (Ron Holloway), Timm Biery, Andy Newmark and Denny Fongheiser on drums, and Wade Matthews on bass. Includes "Tried and True," a tribute to Walter Payton.